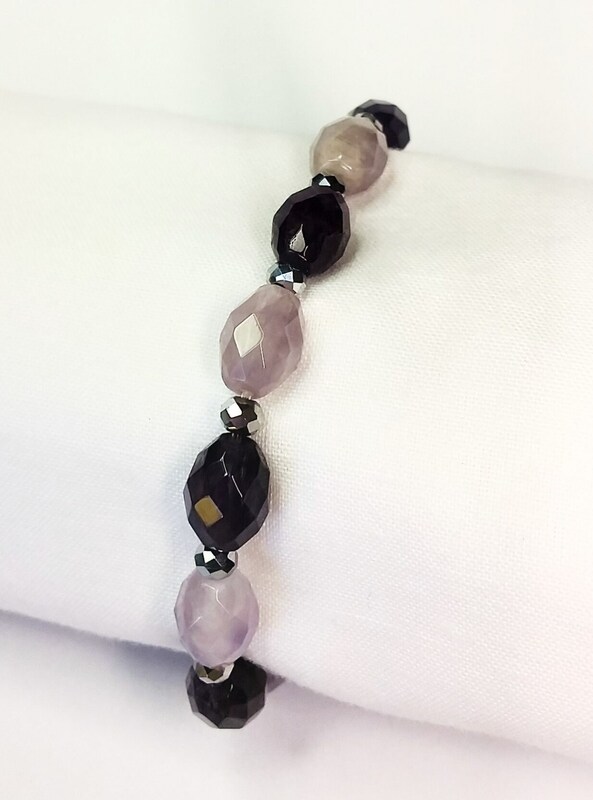 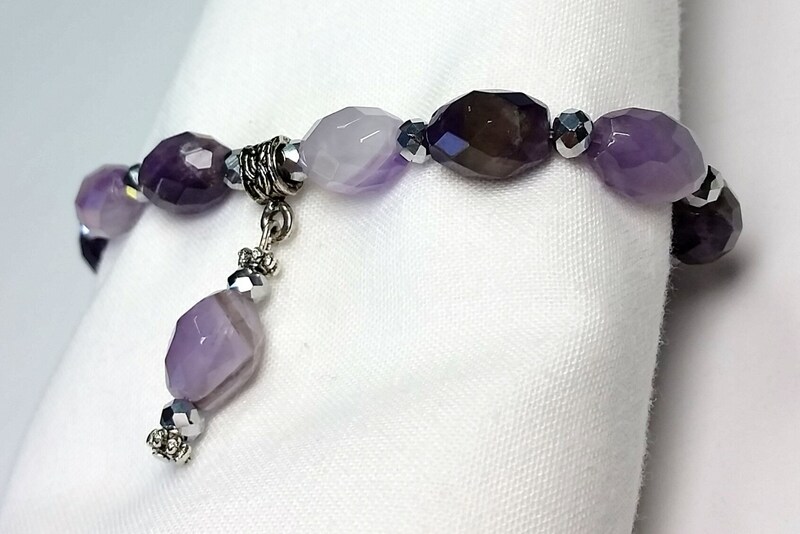 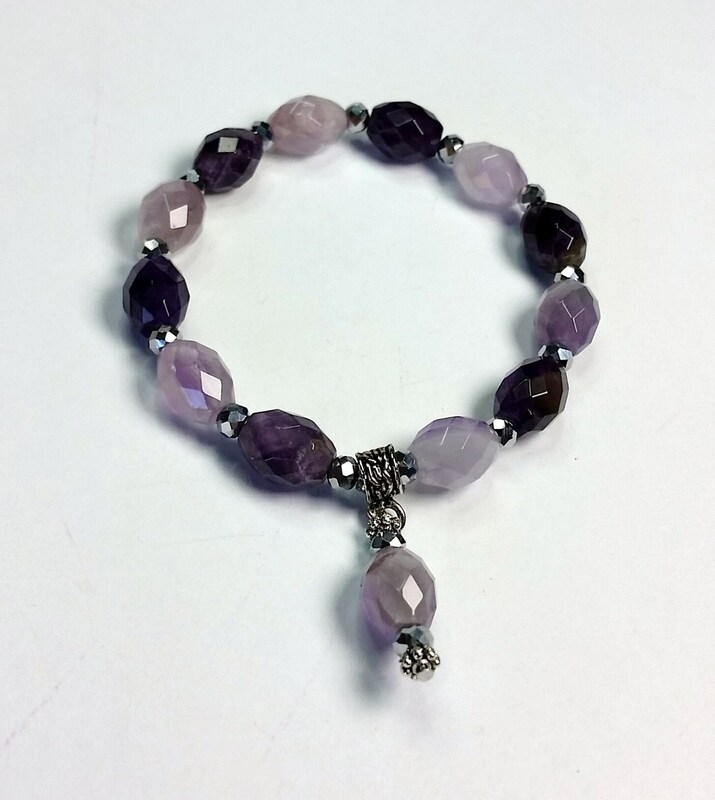 Purple faceted barrel shaped amethysts dominate this stretch bracelet! 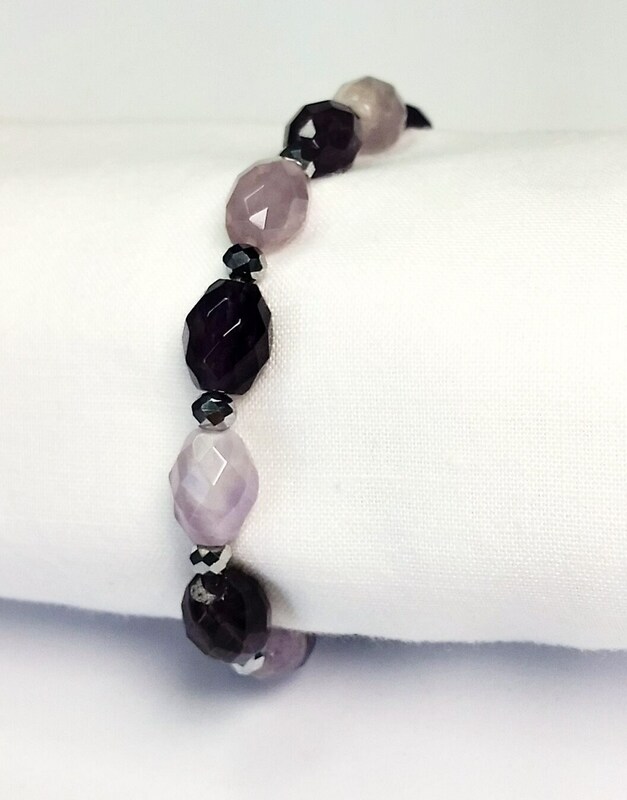 They are faceted and they sparkle in the light. 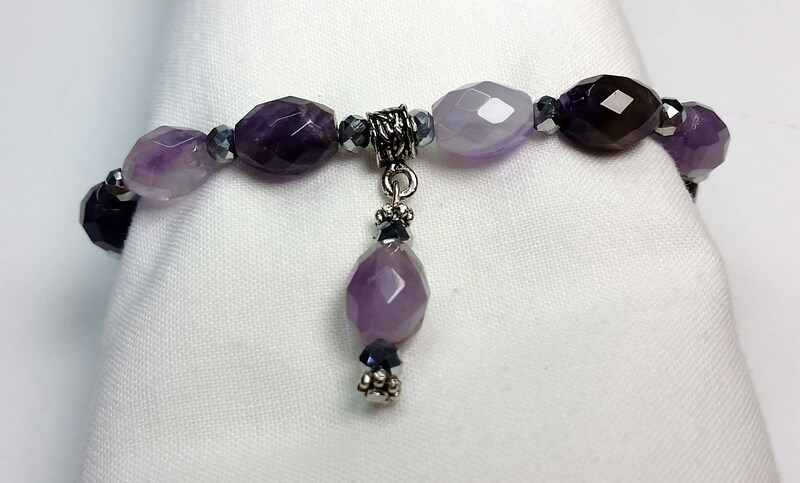 There is even an amethyst dangle for extra bling! 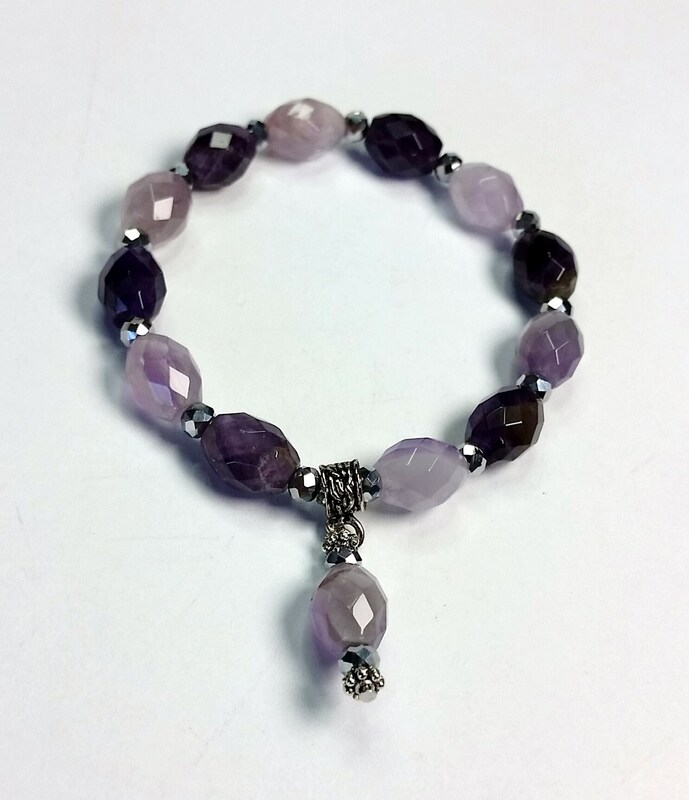 This is adjustable with stretch cord (no clasp needed) and fits smaller wrists sized approx. 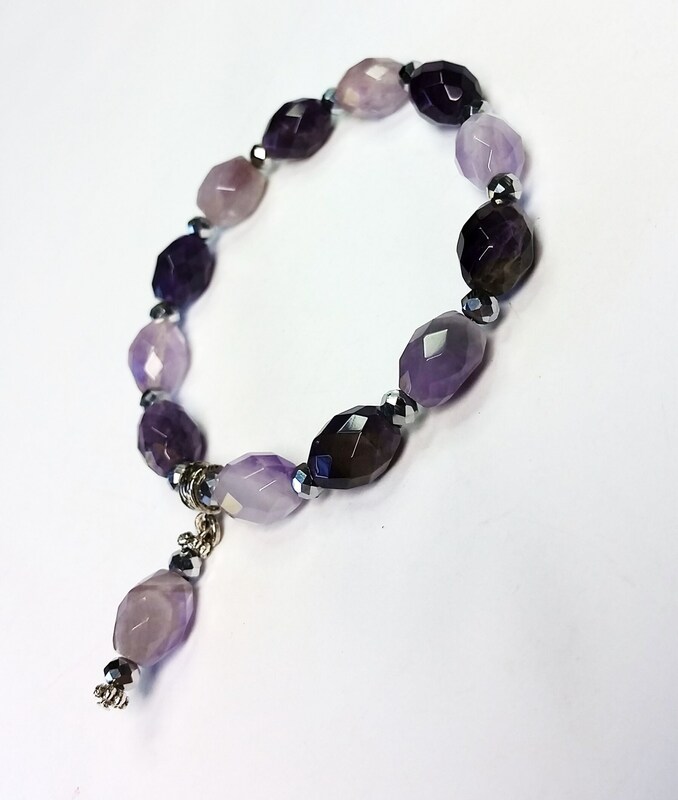 5.5- 6 inches. 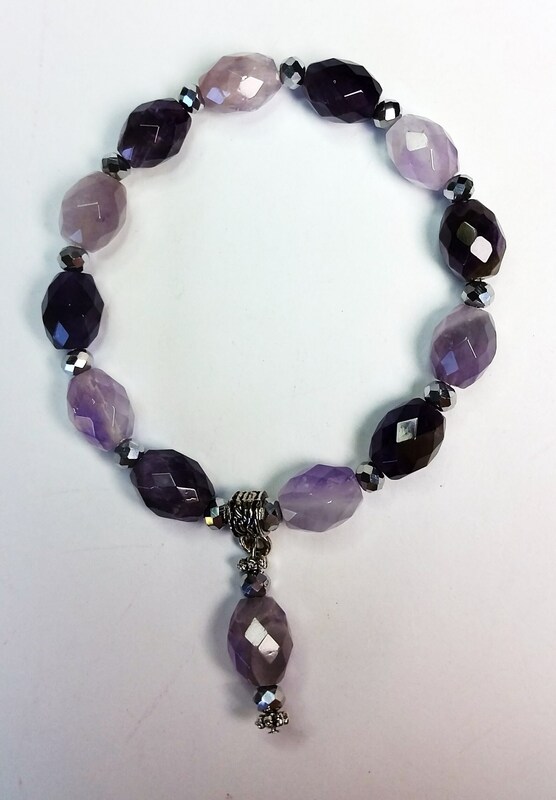 Amethyst is said to be a highly protective stone, creating balance in the physical, emotional, and spiritual realms.